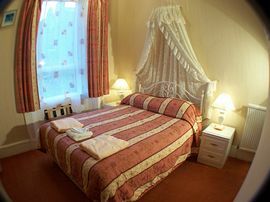 Castle Park is a family-run guest house close to Edinburgh's city centre and main attractions. This cosy Victorian town house is not only well located but also great value for money. 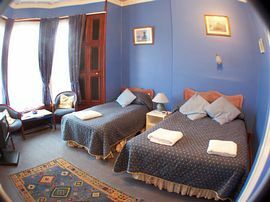 With the Edinburgh Castle only 20 minutes walk and rooms ranging from £20 per person, the Castle Park Guest House should be on everyone's itinerary. 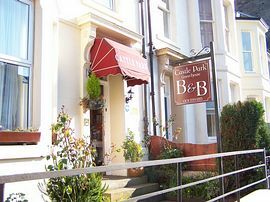 We have been here for over 15 years and we've seen people come from all over the world to stay with us, some on business, some on holiday and others just passing through. We ensure all our guests have an enjoyable stay weather they are staying for 1 day or 1 week. 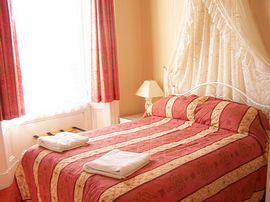 We have 8 rooms, all with colour television, fresh towels, central heating and hospitality tray. Special prices are available for families with children, also corporate discount for those who need a place to hang their hat while working in the city. Breakfast is included in most prices and is a must before you start your day. 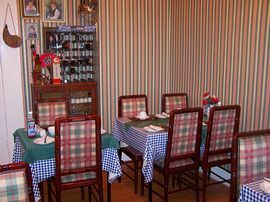 We serve cereal, toast, tea/coffee, orange juice and the infamous cooked breakfast, consisting of eggs, bacon, sausages, beans, tomatoes and mushrooms. We do our best to cater for those who are Vegetarian, those who have food allergies and those with different beliefs. So what are you waiting for? Give us a call or email and we will be happy to help you find what you need. Pet Facilities: Pets are allowed. Only in the quiet season, well behaved animals only. Please ask when booking. Smoking Facilities: Smoking is allowed. Certain rooms only. Enquire when booking. From Princes street West End, continue down Lothian road to get the number 10 bus and get off at the second stop on Gilmore place. 75 Gilmore Place, opposite The Kings Theatre. Open hours 8.00am - 11.00pm.